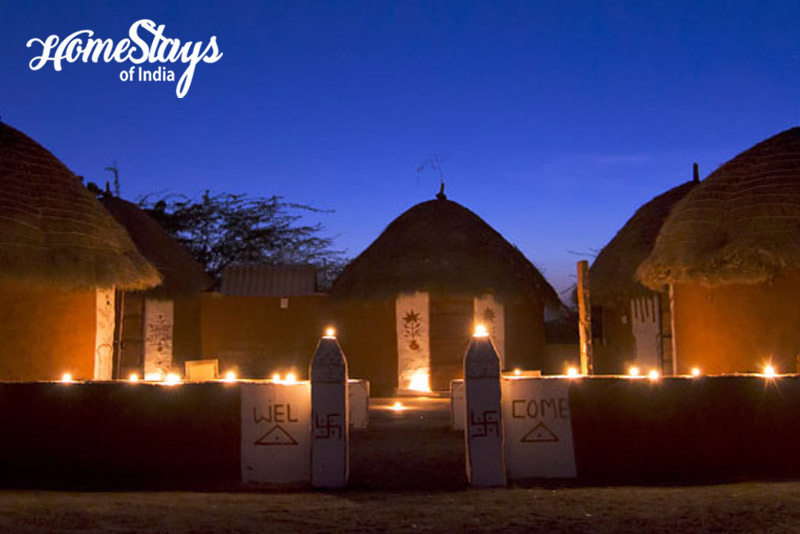 Salawas is situated 25 Kilometers south of Jodhpur which is known for its vibrancy and culture. It is famous for durries (rugs) made by the local craftsmen and easily accessible. 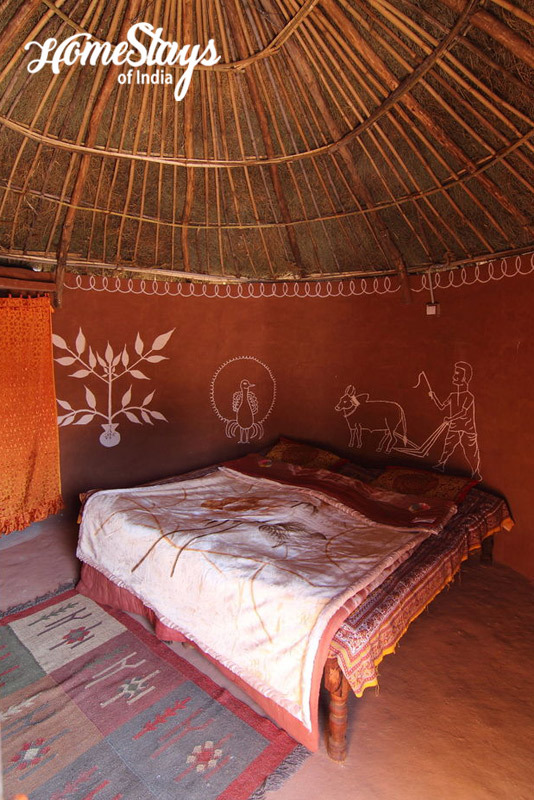 Chhotaram Prajapat took this initiative to promote rural tourism and local art & craft in 2009. He aimed to offer the unaltered and real time panorama of his culture. He doesn’t have posh suites but his small dwellings match the genuineness of all comforts and homely feel. This very tastefully done place provides a warm hospitality to every guest and makes them really feel like home. One will surely experience sanity and peace of mind here. Chhotaram Prajapat and his family is Durry (Rug) Weaver and a Painter with a keen interest in gardening. He and his family love meeting people and ready to share his art and typical home cooked Rajasthani food and experiences. He is happy to guide in local sightseeing and shopping. 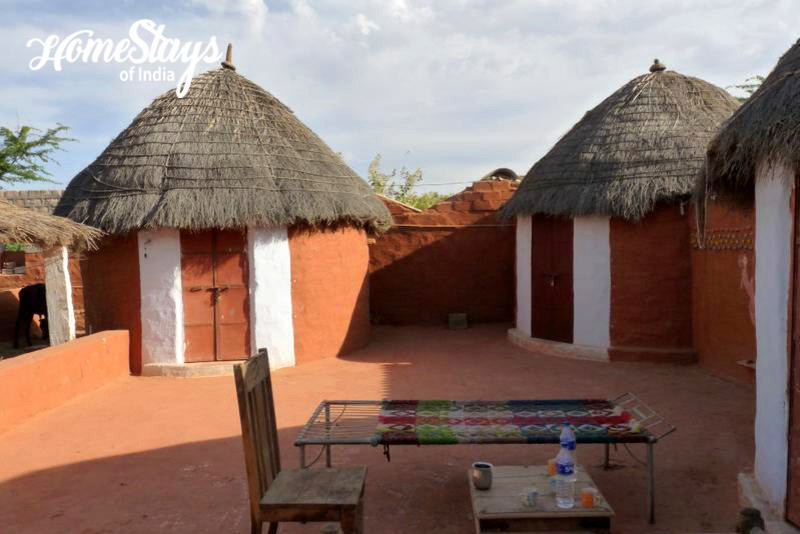 Food is prepared by Chhotaram’s wife and mother will be a treat for you, the dishes are just mouthwatering and with typical Rajasthani taste and there’s no limit to the servings. 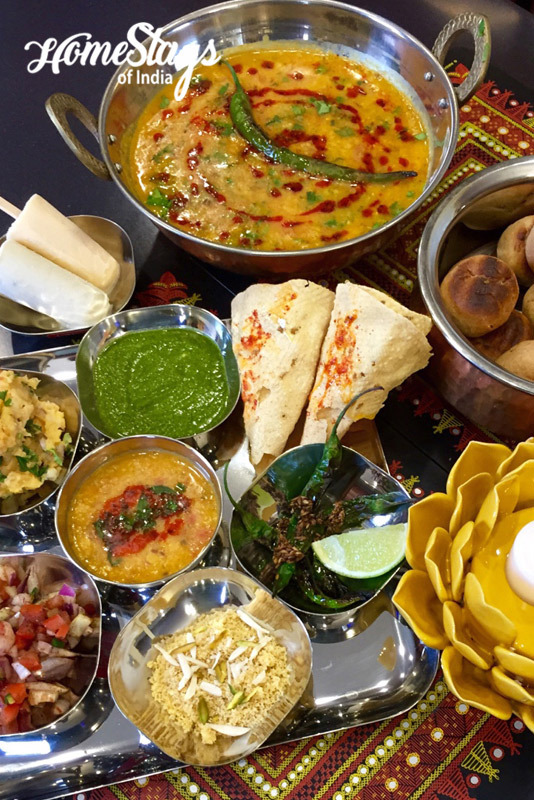 Their Menu includes Indian as well as Rajasthani meals like Dal bati churma, Gatte ki sabji, Kakari ki sabji, Ker Sangari, Kadi, Chutney and much more. Breakfast as per guest choice like, Paratha with curd, Pickle, Bread, Masala chai, Coffee etc.